Judith Anne (Armstrong) LaFountaine, 76, of Hudson, passed away peacefully, on Friday, September 14, 2018, at the Reservoir Center in Marlborough, surrounded by her loving family. She leaves behind her beloved husband of 56 years, Peter D. LaFountaine. Judith was born on January 7, 1942 I n Worcester, MA, a daughter of the late Frances McCaffrey and Arthur Armstrong. She was raised in Leominster, where she attended high school. Judith devoted her life to her family and raising her children. 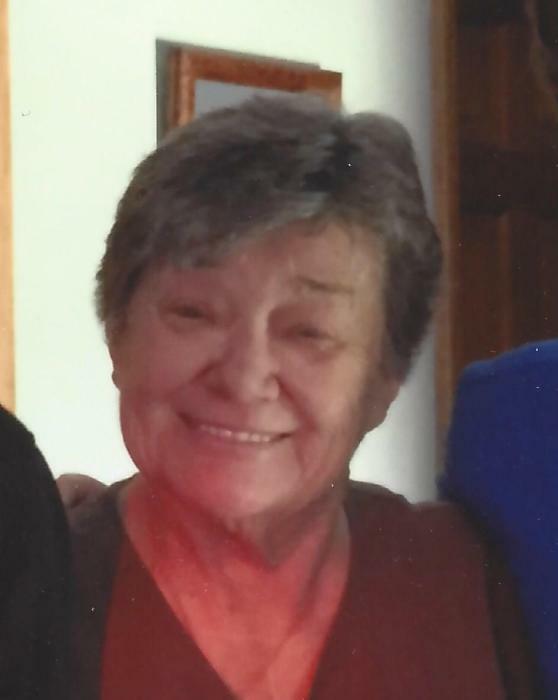 In her later years she enjoyed playing bingo and spending time with her two daughters and five grandchildren whom she cherished. In addition to her husband, Judith is also survived by her two daughters, Laurie Anne Charbonneau and her husband David of Bolton and Joanne F. McIntyre and her husband Roy of Hudson; a brother, Robert Armstrong and his wife Sandra of Leominster; two sisters, Robin Hutchinson and her husband Mike and Polly Armstrong; five grandchildren, Stephen Charbonneau, Michael Charbonneau, John Charbonneau, Nikolas McIntyre and Ian McIntyre and many nieces and nephews. In addition to her parents, she was also predeceased by her brother Arthur Armstrong. The family wishes to thank the staff at the Reservoir Center for Health & Rehabilitation, in Marlborough Ma, for their compassionate care of Judy during her time there. Relatives and friends are invited to a period of calling hours from 4 p.m. until 7 p.m. on Monday, September 17, 2018, at TIGHE HAMILTON REGIONAL FUNERAL HOME, 50 Central St., Hudson, MA. Funeral Service and burial will be held privately. In lieu of flowers, memorial donations can be made to a charity of your choice in Judith’s name.